Trade Show Display Rental - Rent something for any occation! 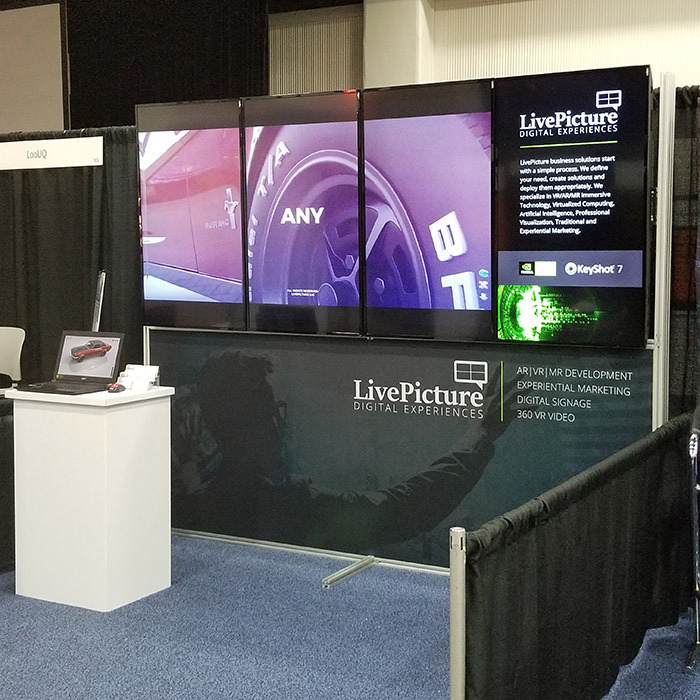 LivePicture keeps an inventory of trade show display rentals available for clients looking for single use or temporary opportunity to use one of our displays at a show. Pricing for the displays is based on a “setup and takedown fee” based on the location of the show. Then we charge per day for usage, plus any storage fees or transportation costs. 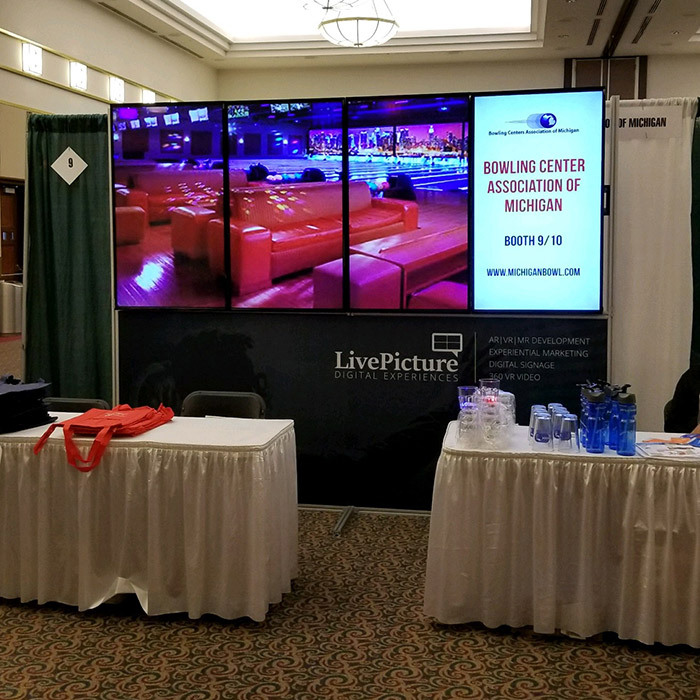 When you arrive at the show, a LivePicture representative will greet you at a pre-determined time at the show, and had you everything you need for operating the display. Your content and optional banner will be up and running already. 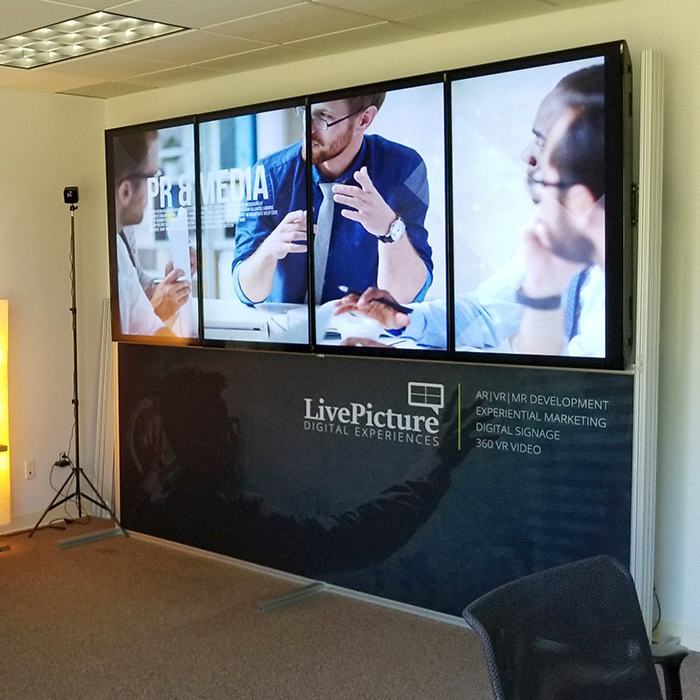 We can develop whatever content you may need, whether it’s in the form of static images, video, software demos, live-remotes, or Virtual and Augmented reality applications. 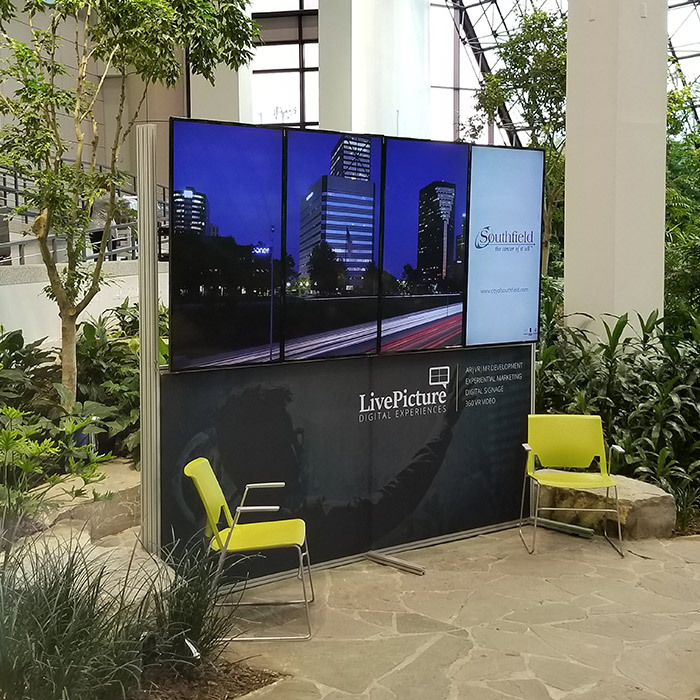 Call us today and see how LivePicture can empower your trade show marketing workflows. Availability is limited, and a 50% deposit is required at the time of rental.